The exact origins of the DDB are unclear. It’s believed that the breed is older than the Bullmastiff and the Bulldog. Some have suggested that the Dogue de Bordeaux is related to war dogs of ancient Rome, citing similarities with the Neapolitan Mastiff. They may also be related to another ancient French mastiff breed from the province of Aquitaine. In the past there have been different varieties of the Dogue de Bordeaux, differing in body size, head size, bite, and whether the dogs had a black mask or not. The work the dogs were expected to do could also differ. However, the general type of the dogs was similar to today’s DDB. (For a slightly different view of the DDB’s history, you can read this account). The Dogue de Bordeaux was exhibited at the first canine exhibition in Paris in 1863. The breed barely missed becoming extinct during the two world wars. It wasn’t until the 1960s that breeders started rebuilding a foundation for the breed. The first breed standard was developed in 1970 and updated in 1995. This standard formed the basis for the AKC standard in 2005. The first Dogue de Bordeaux arrived in the United States in the 1890s but the first documented modern dogs did not arrive until 1959 to help establish the breed in the U.S. There were very few DDB in the U.S. between 1969 and 1980. 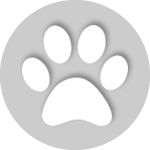 A Dog World article in 1982 officially introduced the breed to people interested in purebred dogs. At that time there were only 600 Dogue de Bordeaux left in the world, with their numbers falling. In 1989 the movie Turner & Hooch introduced the breed to the American public. Today the DDB’s numbers are climbing. The breed was accepted into the American Kennel Club in 2008. The Dogue de Bordeaux is currently the 63rd most popular breed in the United States. As a breed, the Dogue de Bordeaux is not for everyone. This is a giant breed dog that weighs – at a minimum – about 100 pounds, and usually considerably more. They drool, they shed, and they eat a lot. The breed can also be noisy when they eat and sleep. You can expect to hear snores and grunts while your dog is sleeping. In addition, DDBs will not be happy living outdoors. This breed is very loyal and affectionate. They want to be close to their people and they need to spend time in the house like smaller dogs. The Dogue de Bordeaux has been bred for centuries to be a guardian. Because of his size and instincts, it’s particularly important for DDBs to be socialized from an early age. Obedience training is also important, including training for good manners. The Dogue de Bordeaux is an intelligent breed but they can be stubborn and willful. DDBs can be good with children if they are socialized and trained from an early age to know how to behave around kids. Children should also be taught how to behave about dogs. Because of their size, DDBs should always be supervised around children, even when they are loving and tolerant of kids. Even a slight bump can cause an injury to a small child when a dog weighs 100 pounds or more. Some Dogue de Bordeaux can have a high prey drive (the instinct to chase moving objects) and they should not be left alone with small children who often want to run and play. The same is true for other pets in the home. If the DDB is raised with other animals from puppyhood, there are usually minimal problems, but it’s best if you supervise play with other small pets. 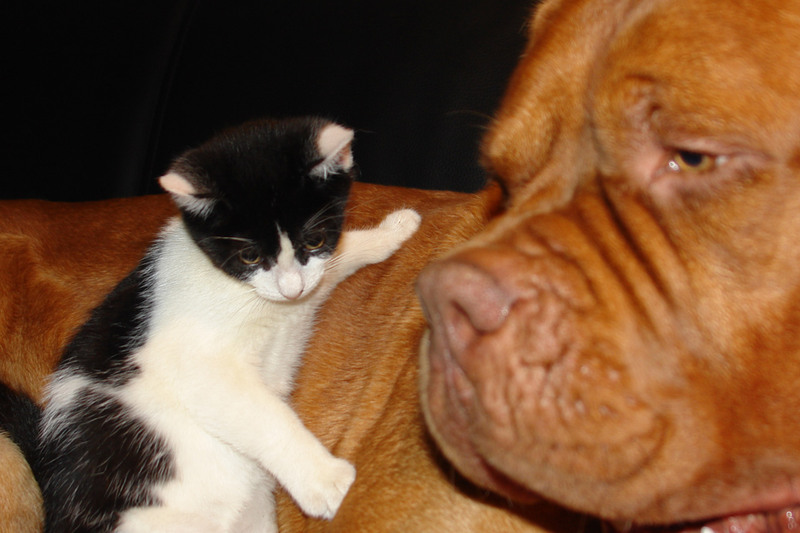 On the other hand, the Dogue de Bordeaux can be aggressive toward other dogs. 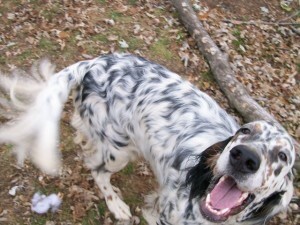 This characteristic may only appear after the dog is mature. If you are introducing a new animal to your home, you should do so slowly and carefully to make sure your DDB fully accepts the animal as a family member. A male DDB can be less tolerant of other males. If you are bringing a new pet into your home, you may want to bring a female so your DDB will be more accepting. Early training is essential for your DDB. The Dogue de Bordeaux is a sensitive breed. They don’t do well with rough training. Positive training methods and patience are important. The DDB also requires regular exercise every day both for physical and mental health. Without enough exercise, your DDB can become bored and destructive in the home. Puppies and young, active dogs do well with a fenced yard so they can get plenty of exercise. According to the Dogue de Bordeaux Society of America, the purchase price and ownership costs for the DDB are usually higher than for most other breeds. The male Dogue de Bordeaux is 23 ½ to 27 inches at the withers. The female DDB stands 23 to 26 inches at the withers. Males weigh at least 110 pounds; females weigh at least 99 pounds. While some giant breeds eat less food than you might expect, this isn’t the case with the Dogue de Bordeaux. You can expect a male DDB to go through a 50-lb bag of food in a month. Depending on your dog’s health and recommendations from his breeder, your Dogue de Bordeaux may also require nutritional supplements, medications, or a special diet. According to the National Research Council of the National Academies, an adult Dogue de Bordeaux weighing 140 pounds requires an average daily caloric intake of 2839 kcal. Dogs that have been spayed/neutered, or that are older, may need slightly fewer calories. Some dogs may need more calories depending on their level of activity and their individual metabolism. Growing puppies consume more calories than adult dogs and so do young adult dogs. A young Dogue de Bordeaux puppy (4-12 months) weighing 70 pounds needs an estimated 1876 kcal per day. You always need to adjust your dog’s food intake based on his activity level and other factors. As you would expect, DDB puppies grow fast during their first year but it often takes a couple of years for a Dogue de Bordeau to fully mature. This is normal for giant breeds. If you feed a puppy food, most breeders recommend feeding this food until your puppy reaches about 90 percent of his adult size. With a giant breed puppy such as the Dogue de Bordeaux, you should not switch to an adult food while the puppy is still growing. 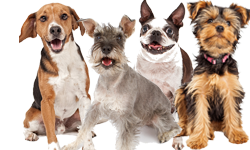 Continue to feed a large breed puppy food or an all life stages food until your dog reaches maturity. A giant breed such as the Dogue de Bordeaux needs precise calcium and other mineral content that is not found in maintenance dog foods. You should talk to your breeder about the food they recommend for their puppies since they usually have experience with how their puppies grow and develop. As with some other large and giant breeds, the Dogue de Bordeaux can be prone to bloat/torsion or GDV (gastric dilatation volvulus). According to one health survey in the breed, 15 percent of DDB mortality was the result of bloat. Concern about bloat affects many feeding decisions for Dogue de Bordeaux. For this reason, it’s wise to feed young puppies (8-12/16 weeks) three to four small meals through the day. When your Dogue de Bordeaux puppy is 12/16 weeks to 6 months, you can move to three feedings per day. Some owners prefer to go on feeding three meals per day with adult dogs, with snacks and treats between meals since this is thought, in some quarters, to reduce the risk of bloat. You do need to avoid feeding one large meal per day. An empty stomach can lead to more air/gas which can result in bloat/torsion. Things that are believed to help prevent bloat include splitting meals up into several smaller meals spread throughout the day; encouraging your dog to eat more slowly (for instance, you can buy “slow” bowls for your dog); and monitoring your Dogue de Bordeaux’s exercise before and after meals. Other things that may help include feeding dog foods that contain pre- and probiotics to help with digestion, or adding other supplements. At one time people also recommended moistening dry dog food before feeding so it would expand before it reached your dog’s stomach but this is another practice that is now debated. The fact is that most things related to bloat – its causes and prevention – are only theories at this point. Many Dogue de Bordeaux are also subject to allergies, including food allergies. Wheat has been cited as a particular trigger for many DDB. 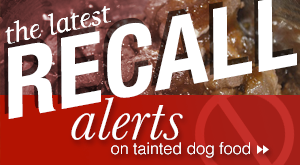 You will probably want to avoid dog foods that contain wheat. You may want to avoid foods with grain in general. Or, you can avoid foods with common grains such as corn and wheat. Instead you can feed less common grains such as barley and oats. There are also many good grain free dog foods. 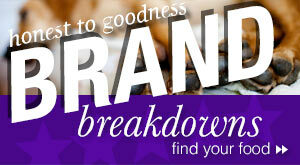 Try a couple of foods, with and without grains, and see how your dog does on the foods so you can make your decision. According to the Dogue de Bordeaux Society of America (DDBSA), the DDB has many significant health issues that require commitment from their owners. Cancer, heart disease, orthopedic issues (hips and elbows), and epilepsy are all issues found in the Dogue de Bordeaux. Food and environmental allergies that require special diets and attention from owners are also common. 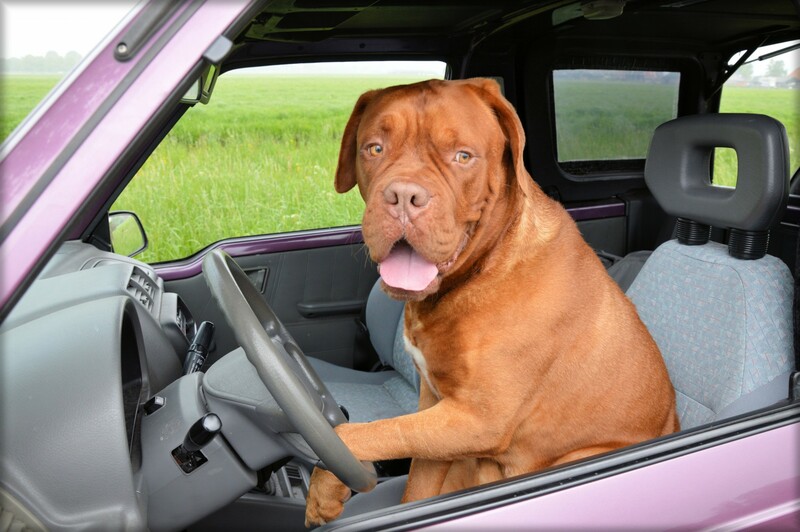 If you are considering becoming a Dogue de Bordeaux owner, pet insurance is recommended. According to health surveys in the breed, the most common cause of death is cancer (30 percent), with over 1/3 of those cancers being lymphosarcoma. The second leading cause of death in the breed is heart disease (26 percent), especially sub-aortic stenosis. Bloat claimed 15 percent of deaths in the breed. Epilepsy was responsible for another 2 percent of dog deaths. The Dogue de Bordeaux is also subject to several orthopedic problems. According to evaluations submitted to the Orthopedic Foundation of America (OFA), some 57 percent of DDBs were found to have some degree of hip dysplasia. Some 20 percent of elbow x-rays submitted were dysplastic. Other orthopedic problems found in the breed include osteochondritis dissecans (OCD), panosteitis, and luxating patellas. You can view the full list of OFA ratings for the Dogue de Bordeaux here. The Dogue de Bordeaux can also have some eye problems such as cherry eye, entropion, and ectropion. Hypothyroidism can also affect the Dogue de Bordeaux. 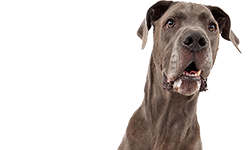 Hypothyroidism is a frequent problem in many giant breeds. We’ve already mentioned that the breed can be prone to allergies. Demodectic mange and other skin problems can also occur. For a full list of possible health problems found in the Dogue de Bordeaux, we recommend that you read this sheet from the Dogue de Bordeaux Society of America. Please note that these are possible health problems. A single dog will not – could not – have all of these health problems. But these issues have been known to occur in the breed (and in some mastiff-type dogs in general) though some of them may be rare. We’re not trying to discourage you from getting a Dogue de Bordeaux but this breed does have a wide range of potential health problems. You should have a healthy bank account and a good veterinarian if your DDB manifests some of these health problems. As with many giant breeds, the Dogue de Bordeaux has a shorter lifespan than most smaller breeds. Their average lifespan is reported to be 8-10 years. However, a study conducted by the DDBSA ( “DDBS Causes of Death in the Dogue de Bordeaux Survey Results: Results from 2004-2011”. Dogue de Bordeaux Society of America. October 2011. No longer online . ) found that the actual lifespan of DDBs in the survey was only 5-6 years. The oldest dog in the survey was 12 years old. As with most dogs, when choosing a food for your Dogue de Bordeaux you should look for a food that has good sources of protein and fat. Like other dogs, some DDBs can get different kinds of cancer. There is no sure-fire way to prevent cancer but many dog lovers try to protect their dogs by feeding a dog food with more natural ingredients to try to keep their dog’s immune system as strong as possible. Many people recommend feeding a food that is free of some of the most common food irritants such as corn, soy, and wheat. 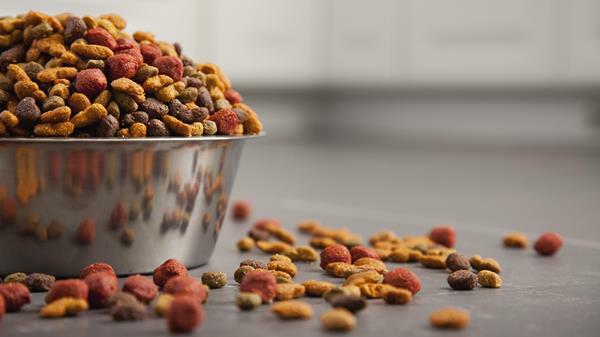 These are not the most common dog food allergens – beef, dairy products, and chicken, for example, lead to more food allergies for dogs than corn, soy, and wheat. Avoiding artificial colors, flavors, sweeteners, and preservatives is also suggested as a way to help keep the immune system stronger. If you want to avoid corn, soy, and wheat in your dog food, your Dogue de Bordeaux may still be able to eat an alternative grain such as barley or oats. Or you can feed a grain free dog food that uses an alternate source of carbs that is low glycemic such as sweet potatoes. You don’t have to feed a dog food with an excessively high percentage of protein but it’s a good idea to keep the carb percentage low to moderate. If your Dogue de Bordeaux has a food allergy or food sensitivity, you may need to work with your veterinarian to identify the food triggers unless they are very obvious. There are lots of good foods with alternative meat proteins today as well as limited ingredient diets which we will discuss below. Because the DDB is a giant breed prone to orthopedic problems, it’s particularly important to pay attention to the diet of growing puppies. Giant breed puppies, like the Dogue de Bordeaux, can be subject to “pano,” or panosteitis. Pano most often pops up in puppies between the age of 5 and twelve months. It’s caused by excess growth in the long bones. Diet is believed to be a contributing factor. 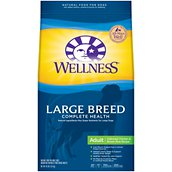 High protein/high calorie puppy foods can cause puppies to grow too fast. Pano can manifest as “wandering lameness,” causing a puppy to appear lame, off an on. It comes and goes without warning. Puppies can outgrow pano by the time they are about two years old but it’s better for your puppy if you feed a diet that is formulated for large/giant breeds which encourages slow growth. Fast early growth can also contribute to orthopedic problems later in life, such as hip and elbow dysplasia. Since the Dogue de Bordeaux can be prone to food allergies, especially to wheat allergies, most of the foods we have selected do not contain corn, wheat, or soy. The puppy foods should meet the calcium requirements for Dogue de Bordeaux puppies. 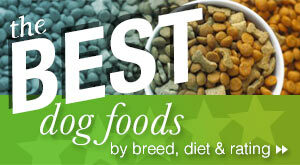 You may have to try a couple of foods to find which one is best for your dog. You should also keep in mind that your dog’s dietary needs can change as he grows and ages so you may have to change foods to suit him. Keep in mind that the DDB does eat a lot of food. You may want to talk to your dog’s breeder to see which foods they recommend, especially for growing puppies. Your dog’s breeder may also recommend some nutritional supplements for your dog. This formula features New Zealand green mussels and glucosamine and chondroitin for healthy joints which should be beneficial for the Dogue de Bordeaux. It has added L-Carnitine for a healthy heart and to help turn fat into lean muscle. It has taurine for good vision and heart function. And it has added pre- and probiotics for better digestion. The first ingredient is deboned turkey. It contains 363 kcal/cup and has 27 percent crude protein and 13 percent crude fat. These levels should help your Dogue de Bordeaux stay at a good weight. 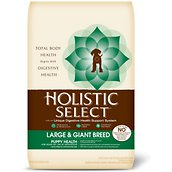 We think this food has some good features for a large breed in terms of bone and joint health and heart health, as well as quality ingredients. 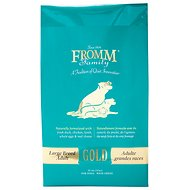 Designed specifically for large dogs over 50 pounds, Fromm Large Breed Adult Gold is one of our favorite dog foods for large dogs. It contains duck, chicken meal, and chicken as the first three ingredients. Chicken cartilage is added for a natural form of glucosamine to keep joints supple which is important for big dogs. The food contains no wheat, corn, or soy that might irritate the digestive system. Fromm Large Breed Adult Gold features moderate protein and fat which may be better for large dogs like the Dogue de Bordeaux. The food is moderate in terms of calories (378 kcal/cup) which helps your large dog stay slim. Dogue de Bordeaux puppies can usually begin eating a puppy food right after they are weaned or they can eat a good all life stage food. If you have questions about how to feed your puppy, we recommend talking to your puppy’s breeder. They usually have the most experience with raising Dogue de Bordeaux puppies and can guide you. Puppy foods should have a calcium to phosphorus ratio of about 1.2 parts calcium to 1 part phosphorus. 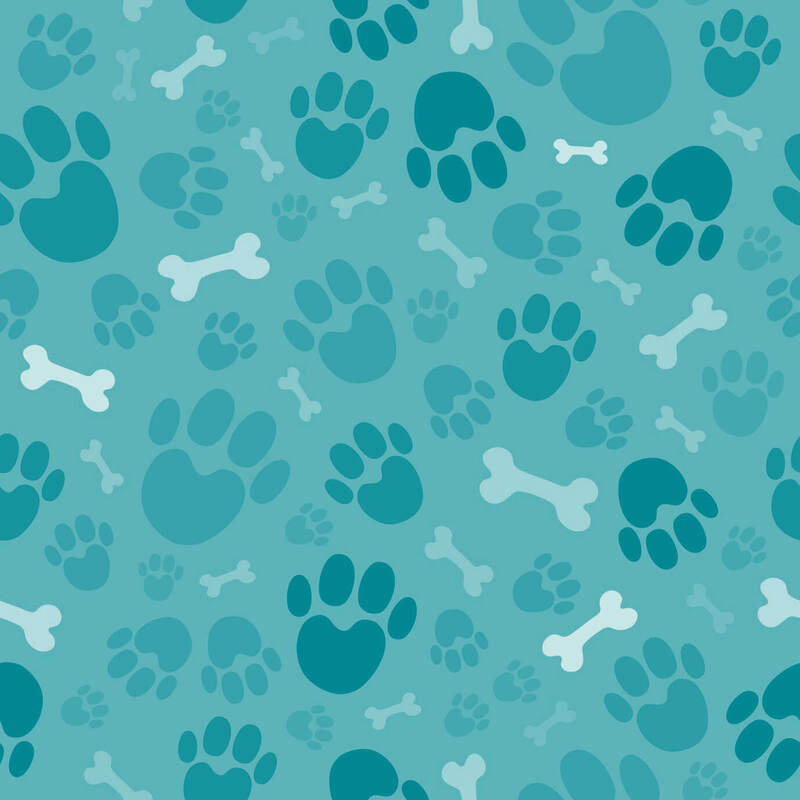 It’s also important that dog and puppy foods do not have an excess of calcium since this can affect bone growth. This is especially true for large breed puppies like the Dogue de Bordeaux. If you are feeding your puppy a food that is properly formulated, you should not add any extra calcium, such as milk, cottage cheese, or other calcium supplements. Doing so can lead to serious health problems such as OCD (osteochondritis dessecans) and other orthopedic problems. Here are some of the puppy foods we like for Dogue de Bordeaux puppies. Remember that an all life stage food can also be fed, as long as the nutrients are appropriate for your puppy. 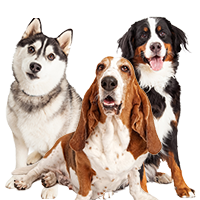 Many breeders recommend Canidae to their puppy owners and feed it themselves. The name of this food is a little confusing. Although it says “Life Stages” it is a large breed puppy food. It’s specially designed for puppies that will grow to be over 50 pounds as adults. Duck meal is high in omega-3 fatty acid which is good for reducing joint inflammation. Lentils are a non-grain, gluten free source of carbs. The food is also lower in protein and fat so it helps keep large breed puppies like Dogue de Bordeaux slim and encourage slow growth – which can help prevent joint problems later in life. 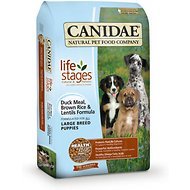 As a puppy food, Canidae Life Stages Large Breed Puppy formula also contains high levels of DHA to help with cognitive development. And the food has no corn, wheat, soy, fillers, antibiotics, hormones, artificial flavors, colors, or preservatives. These are all things we look for in a good food for Dogue de Bordeaux puppies. 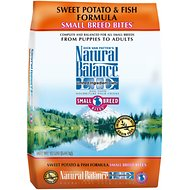 This large breed puppy formula features lamb meal and oatmeal. It includes probiotics, healthy fiber, and digestive enzymes to help your Dogue de Bordeaux puppy digest the food better and absorb more nutrition. Other natural ingredients include chicken and fish meals. The first five ingredients in the food are: Lamb Meal, Ground Brown Rice, Ground White Rice, Chicken Meal, and Dried Beet Pulp. The formula supports muscle and bone development to help your Dogue de Bordeaux puppy enjoy good health now and as an adult. The food also features DHA to help your puppy with brain and eye development. Protein and fat are at lower levels desirable for growing large breed puppies. The food has 23 percent crude protein and 12 percent crude fat. And the calcium to phosphorus ratio is appropriate. Because of their shorter lifespans, you may not think of the Dogue de Bordeaux requiring a senior dog food. But these dogs can start to age at a relatively young age. If you see signs that your DDB is slowing down, sleeping more, and starting to seem “elderly,” even though he’s only 5-6 years old, it may be time to look at senior foods. It’s very important that senior dogs have good quality protein. Good quality protein is easier to digest and metabolize than poor quality protein. 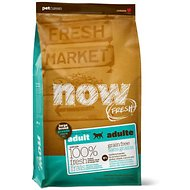 It provides the older dog with more nutrition that he can use. So, plan on giving your older Dogue de Bordeaux the very best food possible with excellent sources of protein. If your Dogue de Bordeaux is having skin problems or problems with food allergies, you will probably want to avoid foods that contain known food allergens such as beef, dairy products, chicken, lamb, fish, chicken eggs, corn, wheat, and soy. We’ve been told that wheat is often a trigger for the Dogue de Bordeaux. If your dog is having food allergies – which usually manifest as itching, redness, chewing, and hair loss – you will need to identify the trigger for his allergy. You can try to guess the trigger or work with your veterinarian on a food trial and elimination diet for your dog. You may need to find a novel protein for your dog – a protein that he has not eaten previously. Natural Balance has a selection of limited ingredient diets that can be helpful for dogs with food allergies. You might try giving your dog the rabbit formula, kangaroo formula, venison formula, or bison formula. He should be able to eat a meat protein that he has not eaten previously without having an allergic reaction. This limited ingredient diet food has limited sources of protein and carbs. It’s also grain free and complete and balanced for puppies, adults, and senior dogs. This food should be easy for your Dogue de Bordeaux to digest and it contains no artificial flavors, colors, or preservatives. 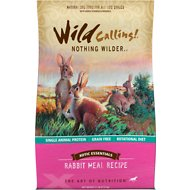 Any dog suffering from skin problems or food allergies may benefit from Wild Calling’s Xotic Essentials recipes. 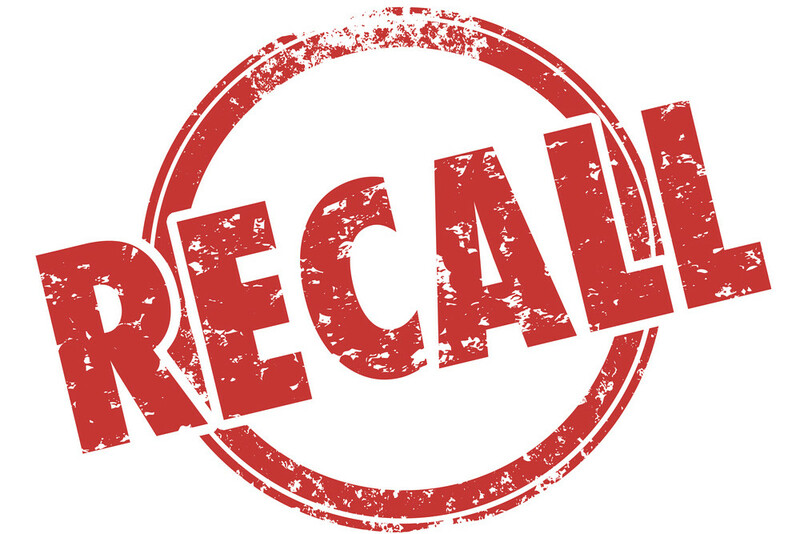 Formulas like their rabbit meal recipe use exotic meats that are rare in today’s pet food market so your dog hasn’t eaten them before – less chance of having an allergic reaction. The foods are also highly digestible. Wild Calling also uses what they call LITe (limited ingredient technology). They don’t use any of the ingredients commonly found in most dog foods such as chicken, grain, gluten, egg, yeast, corn, wheat or soy. If your Dogue de Bordeaux has a food allergy, he may benefit from Wild Calling. 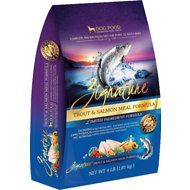 The foods are formulated for rotational feeding and they offer several Xotic Essentials recipes, such as kangaroo and bison, so your dog doesn’t get over-exposed to one kind of meat protein. This is an All Life Stage food. We think that dogs with skin problems and food allergies can definitely benefit from these recipes. Many people recommend Wellness Simple for dogs with food sensitivities. The formulas feature only five main ingredients to keep things very simple for your Dogue de Bordeaux. Wellness makes formulas that are both grain free and some that have grains such as oatmeal. The food is easy to digest and contains probiotics and prebiotics to help the gastrointestinal system. It also contains omega fatty acids for good skin and coat. Formulas feature duck, salmon, turkey, and lamb. 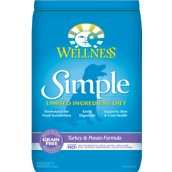 Wellness Simple comes in dry and canned formulas. You can help your Dogue de Bordeaux lose weight by cutting back on his portions and encouraging him to get more exercise. If your Dogue de Bordeaux needs to lose more than a few pounds, however, you may need to consider a weight control dog food. 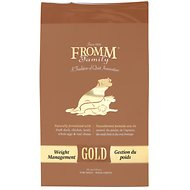 If you have a Dogue de Bordeaux who needs to lose weight, we recommend Fromm Gold Weight Management. 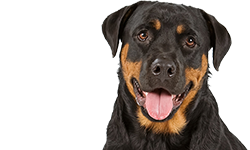 It can be hard to find a good weight control dog food for a giant breed dog but Fromm is a quality brand with good ingredients. This food has 25 percent crude protein and 10 percent crude fat so it’s not that much different from some of the adult foods we’ve recommended. It has 341 Kcal/cup. Fed in moderation, it should help most overweight Dogue de Bordeaux lose weight or maintain a healthy weight. The first five ingredients are: Turkey Liver, Chicken Meal, Pearled Barley, Oatmeal, and Dried Tomato Pomace. Fromm also has a grain free weight control formula called Fromm Gold Coast Grain Free Weight Management Dog Food with the same crude protein and fat percentages if you prefer a grain free weight control food for your dog. Dogue de Bordeaux are a large, powerful, intelligent, loyal, affectionate breed with a natural instinct for guarding. They may appear intimidating but they are actually a gentle, calm, patient companion. Yes, there is drooling and snoring but these dogs require minimal grooming and only moderate exercise. 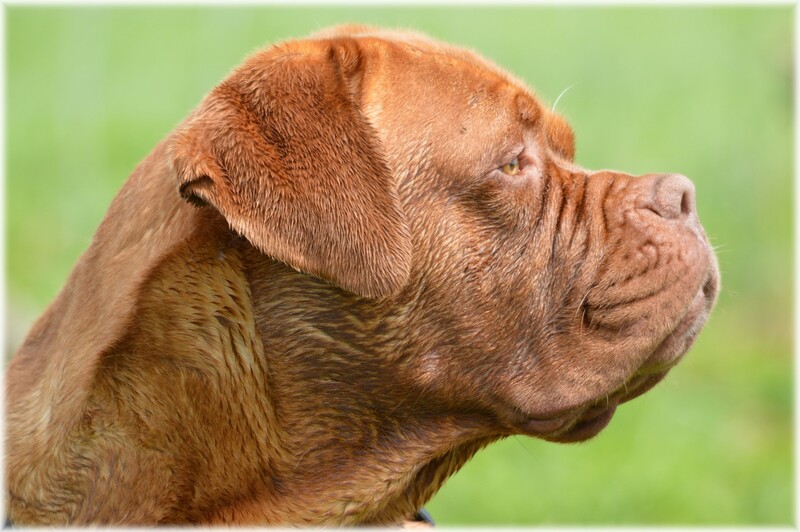 You do need to be aware of the potential health problems with the breed but if you are committed to loving and caring for a Dogue de Bordeaux, this could be the dogue for you. 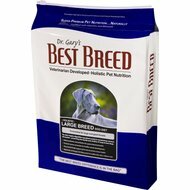 What Is The Best Dog Food For A Poodle?